A fortune in stone. In the entire world, There are only two stones of this gigantic size and with this density of crystals. Green Ice as it is sometimes called is a precious stone of immense value. 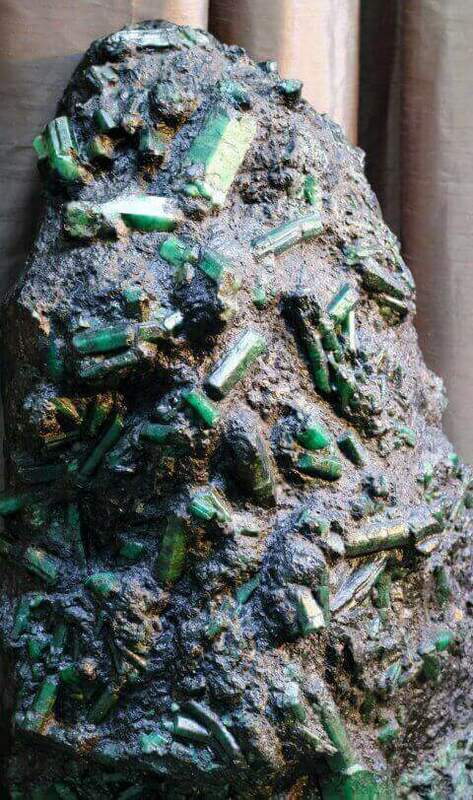 The multi-million pound Emerald rock discovered in Brazil recently is now being guarded by heavily armed security personel,and is constantly moved from secure location to secure location. This is to prevent it from being stolen by robbers who would love to get their hands on the super expensive rock. The owner of this rare find, who can only be identified by his initials FG, yesterday said that the stone is extremely rare because of its ‘considerable size and the quality of its gigantic crystals.’ As you can see in the picture. It is actually so heavy it would require a forklift truck to lift the huge cluster of jewels, but the owner—FG fears its weight would not robbers from making an attempt. An impressive size and even more impressive worth. The rock, which weighs 794lbs (360kg) and stands around 4.3ft high (1.3 metres), was unearthed a month ago in the Carnaiba Mine, Bahia, in north east Brazil. Precious gem Experts predict it could be worth approximately a mind boggling £238 million. With a prize tag like that, we can understand the need for the high security. 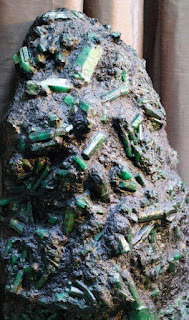 The owner of the emerald stone has already been contacted by buyers from Asia, Europe and the Middle East.